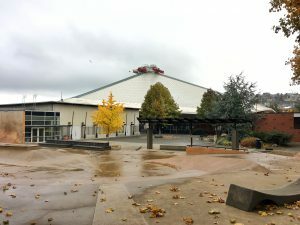 The wrecking ball will start to swing early next month as the OVG group begins it’s effort to remodel Key Arena, which means the last time you will be able to skate at Seattle Center skatepark is October 6th. You can also learn how to get involved with making the 5th iteration of Seask8 the best one yet! The feasibility study that the Seattle Center hired Grindline to complete has been finalized and released to the public. It contains maps of the sites that were considered, a detailed analysis of each site, cost estimates, and a draft schedule. In reality the team working on the project has moved well beyond site selection and is now focused on making sure the project funds are in this year’s city budget. There was also some much needed press attention on the project this week in the Stranger which unfortunately didn’t include any voices from the advocacy side of the table, and contained some misleading statements about the project including how much money was allocated for the skatepark replacement in the deal with the Oak View Group. You can read the study yourself by clicking on the link below. Enjoy! Overhead view of recommended site. The site selection process for the SeaSk8 replacement has hit a meaningful milestone this week. Grindline was hired by the City of Seattle to perform a feasibility study on three preferred sites: Lake Union Park, an area of grass on Broad Street adjacent to the EMP and Space Needle, and a parcel of land owned by Seattle Department of Transportation tucked between some parking lots, the Ride The Ducks operation, and a power substation that we’ll refer to as the “SDOT ROW Site”. 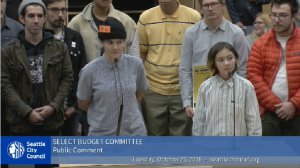 After reviewing the report, the skatepark advocates at the table agreed that the SDOT ROW Site is the preferred site for multiple reasons which are unfortunately that it doesn’t suffer from as many challenges as the others when it comes to skatepark placement. Of the three sites, the ROW site is actually the least appealing from an environmental standpoint. It’s tucked away, unappealing on it’s own, and surrounded by noise and traffic. The future of the site involves development on two of the four surrounding sides, which means that all site lines will terminate at building walls. But as beautiful as it is, Lake Union Park is a potential liquefaction nightmare, and the Broad Street site is also very nice, but the shape would really constrain the design of the skatepark. Both of those sites also have other issues that you can read about in the report. Safety: we understand the existing alley easement that bifurcates the potential skatepark footprint needs to be maintained following construction of the skatepark. The potential for vehicles to transit across a portion of the skatepark creates a significant safety issue. The skatepark design should include a means to mitigate for this safety hazard and include input from Skate Like a Girl that will be host trainings for inexperienced, young skateboarders that present a unique safety hazard. We also recommend the skatepark design team directly account for potential hazards associated with the adjacent power station. Permanence: this is the 5th iteration of this skatepark to be built and it is concerning to us that when it is demolished in October of next year, the current park will be 10 years old, which also happens to be the suggested length of the term lease. Based on past experience, it’s not unrealistic to imagine that in another 10 years we could be back at the table working on SeaSk8 6. We feel that skateparks are facilities with much longer lifespans and that the City of Seattle should be getting more value out of it’s skatepark investments. 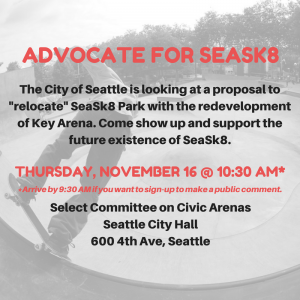 With all of the future development anticipated in the surrounding area, we feel that this skatepark could be at exceptional risk in the near future and deserves an extraordinary commitment by the City of Seattle to protect it. Therefore, we are recommending that the Seattle City Council extend the term lease initial period from the typical 10 years to 20 years, with unlimited 10 year renewal periods after that. This would double the initial period, and provide the skateboarding community some added assurance that the city is committed to the skateboarding community, and this facility. 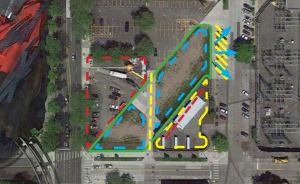 Size: the skatepark footprint should encompass the entire approximately 19,000 square feet evaluated in the “Seattle Center Skatepark Relocation Feasibility Study”, including the alley easement. This will allow the skatepark design to include a larger range of features and better “flow” of skateboarders to minimize chances for collisions. Noise: we understand the property surrounding the potential skatepark footprint has been zoned for 15 story residential buildings. It will therefore be very important to include noise attenuation in the skatepark design. The most effective means of attenuation for vertical noise migration will be the installation of a cover over the skatepark and we highly recommend this be included in the initial design. This cover could also function to provide shelter from rainfall and a platform for lights, both of which will drastically increase use of the skatepark during the dark, wet winter months. Lighting: we recommend the design include the installation of lights. This will drastically increase the use of the skatepark during the dark winter months, serve to decrease vandalism, and generally increase user and bystander safety. Skatepark lighting has seen significant improvements in the last several years so it is important the design consultant include a lighting expert on their team. Poor lighting presents a safety hazard. Drinking Water: due to the sites location and surrounding buildings, a source of potable drinking water is anticipated to be located in close proximity to the site. It is important to provide drinking water to skateboarders given the strenuous activity and a water source will further minimize trash in the form of plastic water bottles. Integration of Art: we recommend the art installations at the current SeaSk8 skatepark be relocated in the replacement site, as well as incorporation of new art. These concerns will shape the conversation moving forward as we work toward securing a commitment from the City on this site. It should be noted that the “term lease” referenced in item #2 is an agreement between SDOT and the City Council to shift “ownership” for the site away from SDOT to be used as a skatepark. (The current plan is that the Seattle Center would maintain the site.) The usual term lease is 10 years with 2 10 year extensions. We are asking for a longer initial term simply due to the fact that this skatepark has a history of being torn down and we feel like the skateboarders deserve an extraordinary commitment from the City this time around. The next step will be when our concerns are presented to Council next Thursday in a briefing, and we hope to move to the design phase shortly after this site is agreed upon by all parties. SeaSk8 Upd8: Size, users, and data. In an effort to inform the team working on the replacement for SeaSk8, the Seattle Center Skatepark Committee (the skaters at the table) decided to compile some data to determine the size of the user-base for the new skatepark. We also wanted to understand a little better whether or not the 10,000 square feet size target being used by the team to evaluate sites was going to be sufficient for the number of potential users, now and in the future. With skateboarding being included in the Olympics for the first time ever, and Seattle’s intense growth, we thought it would be good to simply look at the numbers before assuming that what the city needs to invest in is a 10,000 sq/ft skatepark. We started by looking at the best population data we could find, which we sourced from StatisticAtlas.com. We decided to include all of the bordering neighborhoods to the area where the new park will be located, but only if they did not currently have a skatepark. As it turns out, Seattle’s skatepark system has really missed the urban core of the city and there are no skateparks in any of these neighborhoods, so SeaSk8 will be the only skatepark for any skateboarder in lower Captiol Hill, Eastlake, South Lake Union, Uptown, Queen Anne, Downtown, Belltown, Westlake, and First Hill. Once we felt comfortable with the size of the community this new park would serve, we used the Skaters For Public Skateparks/Tony Hawk Foundation Skatepark Adoption Model to crunch the numbers and come up with an estimate for how big the park would need to be to support this community. You can dig into the details behind the model at the link provided, but the model considers the number of core skateboarders vs. casual skateboarders, service area, population, peak load times, and level of service. It’s very comprehensive. The model suggests that for every 25,000 people in your service area, you need 10,000 square feet of skateable terrain. This means that in order for SeaSk8 to serve the population in these neighborhoods, it would need to be 35,843 square feet. Obviously this number is much higher than the current target of 10,000, which is the number that’s being used because it’s the size of the current park. It is also not a foregone conclusion that all of these neighborhoods will continue to not have their own skateparks. But what this data shows is that even without considering the population growth that Seattle is facing, based on the current population, this skatepark may be very crowded if built as a 10,000 sq/ft park! The larger team including the representatives from the city acknowledged this data, but are concerned that we may not be able to find a site this large or fund the development if we did. There were also some concerns about the timing of this data being presented because significant effort has already made to find a site that can support a 10K sq/ft site. As the primary stakeholders, the skateboarding community wanted to make sure that this data was available to the team and that we are moving forward with as much of an understanding about the size of the potential user-base as is available to us via very accessible public data. At the very least hopefully this information helps to scope the size of the constituency for this facility and validates the effort being made to replace the existing park with a first-class facility for skateboarders and the community. 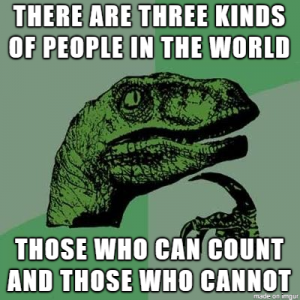 In case all of this data has gotten you excited about numbers and facts, why not peruse this interesting demographic data? In a meeting yesterday, the city presented a rough schedule for the SeaSk8 replacement process. Dates can certainly change and our experience has been that things take longer not shorter, but since this will be the 5th SeaSk8 you would think that the parties involved should be getting better at this. Time will tell. Here is the rough schedule that was presented yesterday. Take note that currently the last weekend for a SeaSk8 session will be on October 6-7th. Details on a final blowout event will be posted here in the future. Since my last post much has happened in regards to the effort to replace SeaSk8. Primarily, the team has been assembled and there is an effort underway to determine a site for the replacement park. The city has appointed Director of the Waterfront project, Marshall Foster, to sherpa the team through the process of replacing SeaSk8. 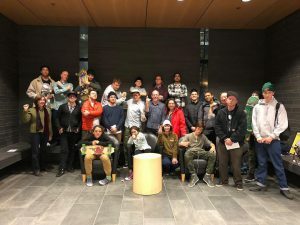 The team consists of representatives of Seattle Center, Seattle Parks, Skateboarders, Skate Like A Girl, and the offices of city council members Bagshaw and Juarez. So far Mr. Foster has made a significant impact including setting up bi-weekly meetings and running interference between the various parties to keep the peace and momentum moving forward. 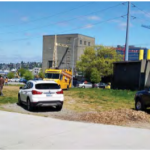 One of the first things Marshall did was help to bring Grindline in to perform feasibility studies on the three sites that were brought to the table as options: the green space on Broad Street below the Space Needle, one of two spaces in Lake Union Park, and this weird plot of land behind the Ride The Ducks clubhouse. Those studies are moving forward and should be completed relatively soon. 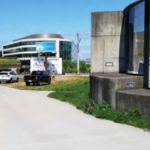 At that point the team will try to weigh the pluses and minuses of each site and try to put forward a preferred option to be approved by the city. Based on the site chosen, a city department will then take the lead on the project. If it’s Broad Street then Seattle Center will need to own it. 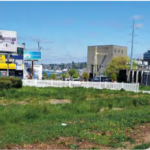 If it’s Lake Union Park, then it will be a Seattle Parks project. The third site will need to be transferred from Seattle Department of Transportation and it isn’t clear who will own the project if that site is chosen, but it will likely be Seattle Center. The process continues and there is another meeting today. I will try to get better about keeping the site up-to-date and will back-fill with some future posts to provide more of the contextual information in the next few days to give you a better idea of what’s been transpiring. The process has been much more productive than past experiences, but it hasn’t all been smooth sailing. 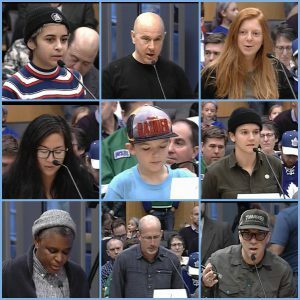 Yesterday the skate community showed up to City Council chambers and testified to the value of SeaSk8 to our community. We called out that there is no clear budget identified for the replacement park, and that it’s problematically conflated with a maintenance building and an obliquely defined set of “public amenities” in the current MOU. We pointed out that in the past, finding a site has taken up to three years for previous incarnations of this very park, and that gap in service amounts to certain death for the community that relies on this skatepark for everything from skateboarding, to self-esteem, personal growth, mental health, and physical fitness. We also highlighted that this is the fourth SeaSk8 which, in itself, begs questions about why Seattle Center is so allergic to permanence when it comes to skateparks. Despite all that, Seattle City Council Committee on Civic Arenas approved the MOU and moved it to be approved by the full council on December 4th. They did this without even acknowledging the comments that were made by skatepark advocates, or that they registered our complaints at all. Committee chair Juarez was even dismissive, by making a statement about how non-binding the MOU was, and that there will be changes made down the road. Councilmember Juarez clearly has no understanding of what this community has been through. King 5 seems to be on board with the effort to dismiss skaters by characterizing 10 skatepark advocates in a group of 40 speakers as “a handful“. 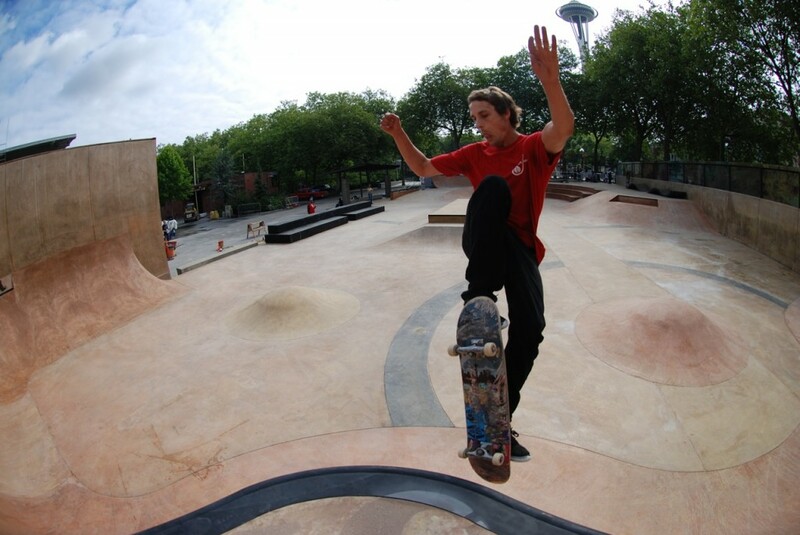 Is this what Seattle Center Executive Director Robert Nellams meant back in 2010 when he told the City Council that he thought skaters in Seattle were getting a “raw deal”? Unsurprisingly, The Stranger comes to the rescue with the first (and currently only) piece focused on the fate of SeaSk8 and fairly represents the issues being raised by the skate community. 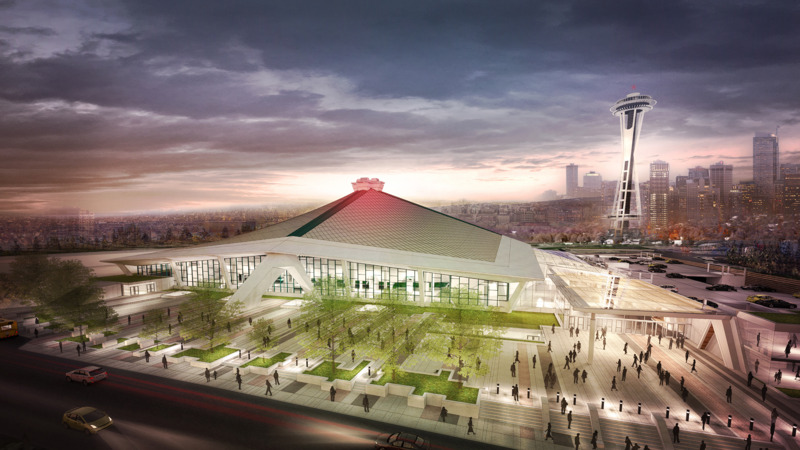 Tomorrow there will be a meeting of the Committee on Civic Arenas to discuss the Memorandum of Understanding between the City of Seattle and the Oak View Group, who plans to redevelop Key Arena at the expense of Seattle skateboarders. Please consider showing up to provide your personal commentary on this issue. Comments will be limited and it’s important to arrive early to sign up (1 hr is playing it safe). It’s unclear how aware the committee is of the negative impacts the current plan will have on the skate community. 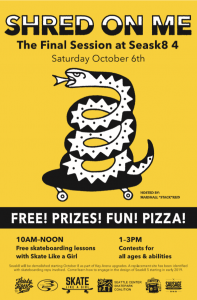 Please help us make sure that they understand the issues and that more effort by the City Council is required to do the right thing for skaters.